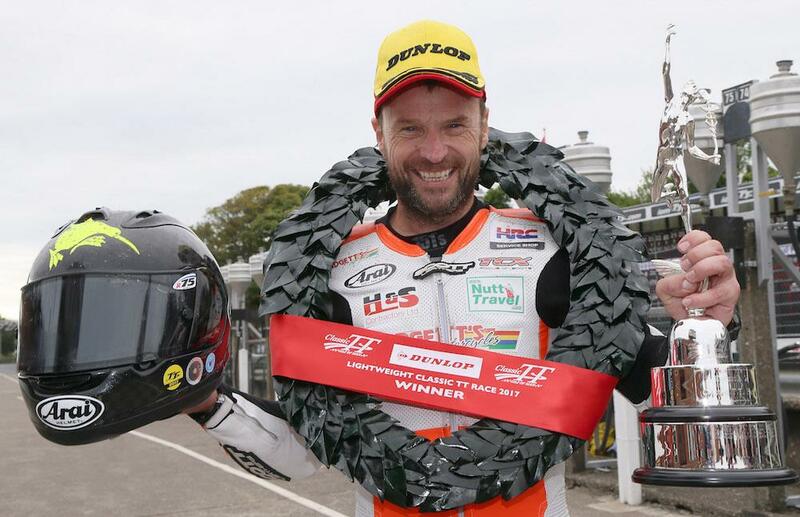 Bruce Anstey shattered the outright 250cc mountain course lap record on his way to a second consecutive victory in the Lightweight Classic TT. The flying Kiwi became the first rider to do a 250cc lap in less than 19 minutes which he followed up with a 120mph lap on his second lap and went on to break his own race record by more than a minute. In a day when the clock was turned back on the Isle of Man it was clearly a day for the veterans with the top three riders – Anstey, Michael Rutter and Ian Lougher - all having made their Mountain Course debuts in the 1980s and 1990s. Anstey’s record breaking opening two laps gave him a lead of over fifty seconds from Dan Sayle (117.740) with Michael Rutter maintaining his podium challenge only five seconds behind Sayle. Lougher and Ivan Lintin held fourth and fifth places respectively going into the third lap. Sayle was reported as a retirement at Garey Ford near Kerrowmoar which saw Michael Rutter move into second place at Ramsey with Lougher slotting into the final podium position but Anstey’s lead at the end of lap three after a lap of 113.233mph was a decisive seventy seconds ahead of Rutter with Lougher (111.580) a further thirteen seconds back in third place. That remained the top three at the finish with Anstey taking the race in a new record time of / 117.853/ 1:16:50.072. Rutter’s final lap of 116.662 saw him finish in the runner-up up slot in 115.723/ 1:18.14.929 with fellow veteran Ian Lougher third in 115.665 1:18.17.289. Stuart Hall riding for Martyn Nelson Yamaha (109.416/ 1:22:45.565) was the leading privateer in eighth place.